This flower was a photo of a white magnolia that I took last week. 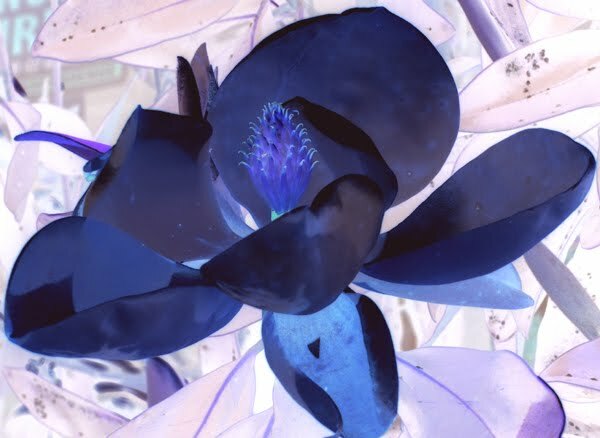 Some how some way with photo shop turned the flower into a lovely shade of blue with purple in the background. I thought it was pretty cool.